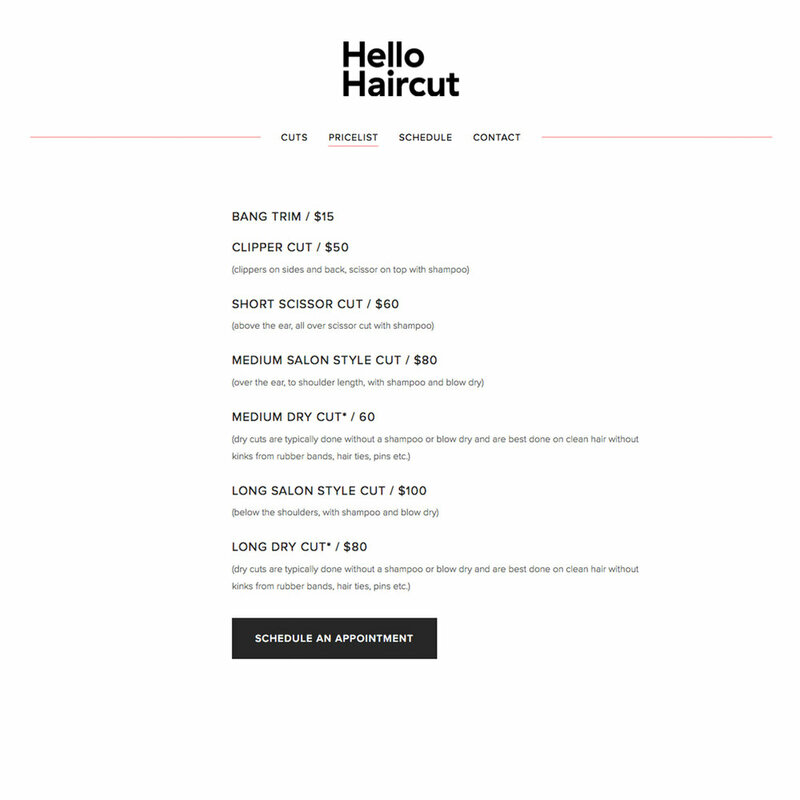 Hello Haircut is a one chair studio owned and operated by Marie Mingoia. It was a pleasure to work on her site which is modern and minimal. I love working with women entrepreneurs! She requested online scheduling and we used user friendly Acuity scheduling.